At Sarasota Landscaping Services, our team is happy to provide quality landscape materials at an affordable price, which include gravel, mulch and river rock. In Sarasota, FL, we’re used to seeing a lot of greenery in our community. 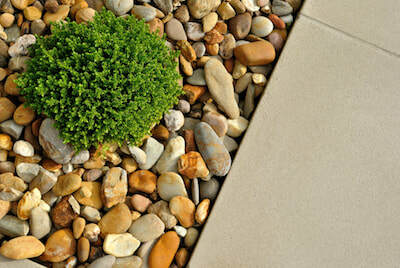 While green is good, it can be nice to contrast your landscaping with the additional of grays or white rocks. Not only can it add an extra layer of detail, but it can be beneficial for your property’s well-being. Before we go any further in discussing the type of gravel and river rock we have available for our customers, let’s take a closer look at the advantages and unfortunately, some disadvantages, of incorporating these into your landscape. First and foremost, one of the major benefits of using mulch or gravel is that it is low maintenance, which means you won’t have to worry about it. Compared to other items that you might use as a top layer in your yard, such as bark or wood chips, gravel won’t need to be replaced after a few months. Obviously, rocks are not a living organism, so there’s not need to give them constant care. Likewise, since they are not living, they don’t decompose. They are very durable and withstand everything from rain and snow to constant sunlight. They also don’t attract little critters or insects, which many who use wood chips will understand can be a frustrating issue. In all, gravel, rock and stone do just what you’d expect from them: stand their ground and hold their position. In doing so, they also work to support the rest of your landscape and combat erosion. While the list of benefits is lengthy, we would be doing our customers a disservice if we didn’t share some of the downfalls of incorporating rock or gravel into your landscape. To start, these materials are heavy. Because of their weight, it’s easy for them to begin sinking into the soil. Although this might not seem like a huge deal at first, overtime it can begin to have negative effects on the soil. It may become so compact so fast they it can barely release its nutrients to the surrounding plant life. While a positive we discussed was that it can withstand the elements, there’s no denying that when these rocks absorb heat from the sun, they become very hot. This can be damaging for not only plants and flowers nearby, but also for the soil underneath. Not to mention, if you happen to walk on the stones or gravel on a hot, summer day…ouch. Overall, it’s up to you as the customer to weigh the pros and cons to determine whether or not you want to incorporate gravel, mulch or river rock into your current landscape in Sarasota. Regardless of what you decide, our team is happy to help you sort through your options and once finalized, complete installation of these materials at your property. 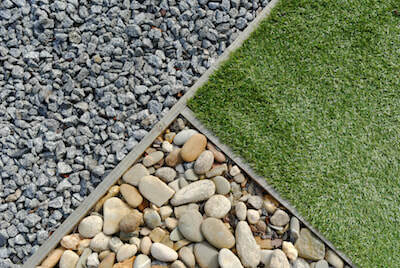 To find out more and learn more about our mulch options, call Sarasota Landscaping Services.